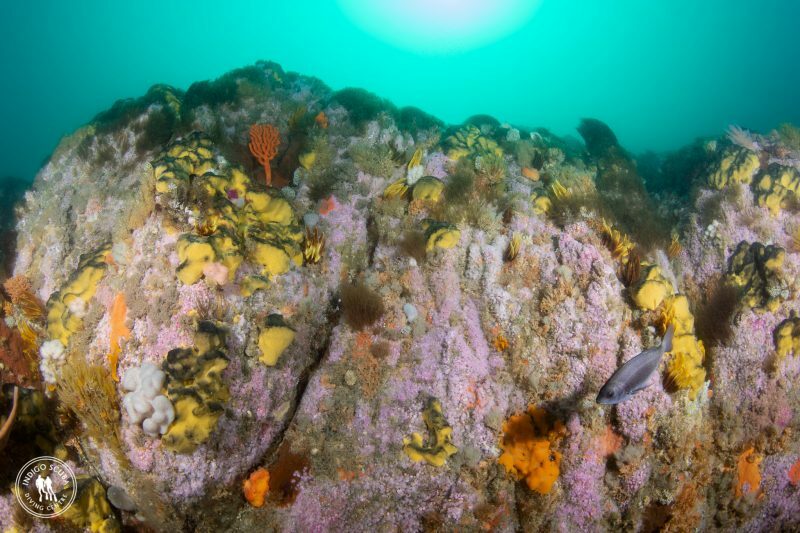 There has been a lot of luminous green red tide in the bay this week and the south easterly that had done a pretty good job of blowing it away from our shallower dive sites on Thursday and Friday was not as strong as forecast on Saturday and the green came back inshore again so we planned our Sunday dives for Steenbras Deep. 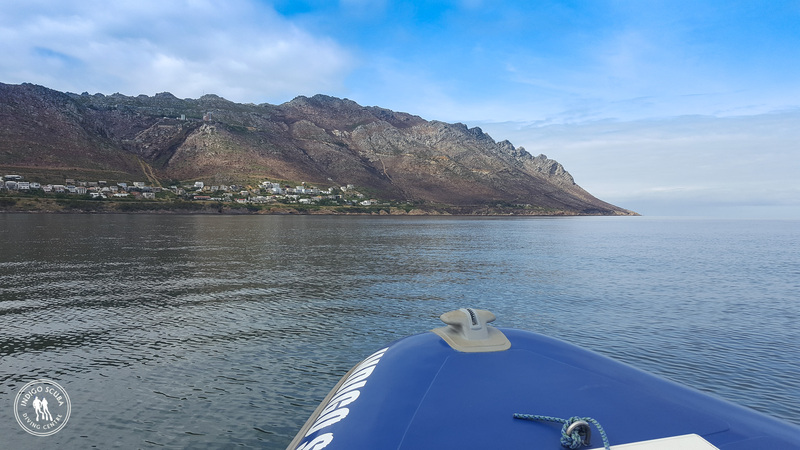 An earlier than normal launch (to miss the wind that was forecast to start blowing quite strongly mid-morning) saw us making our way out to Steenbras Deep for a double tank dive. 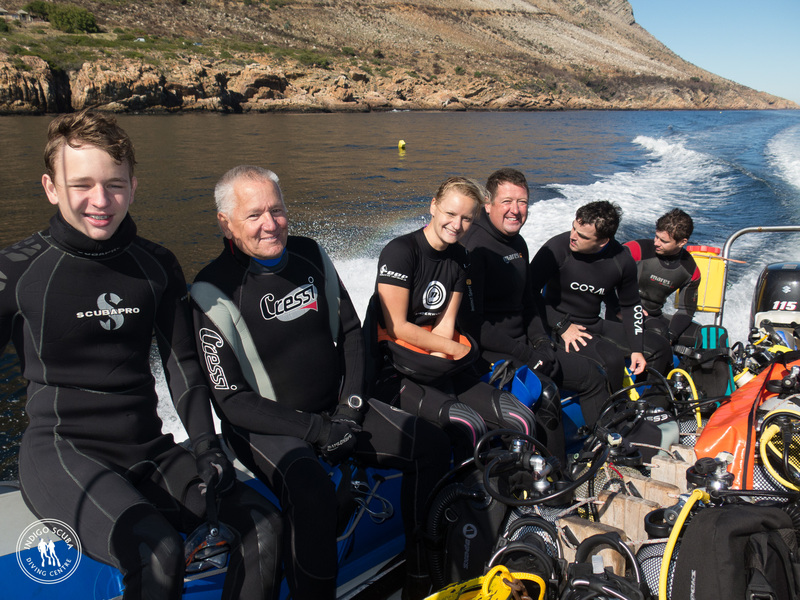 Once we were past the luminous green that cloaked the coastline, the water was back to normal again. 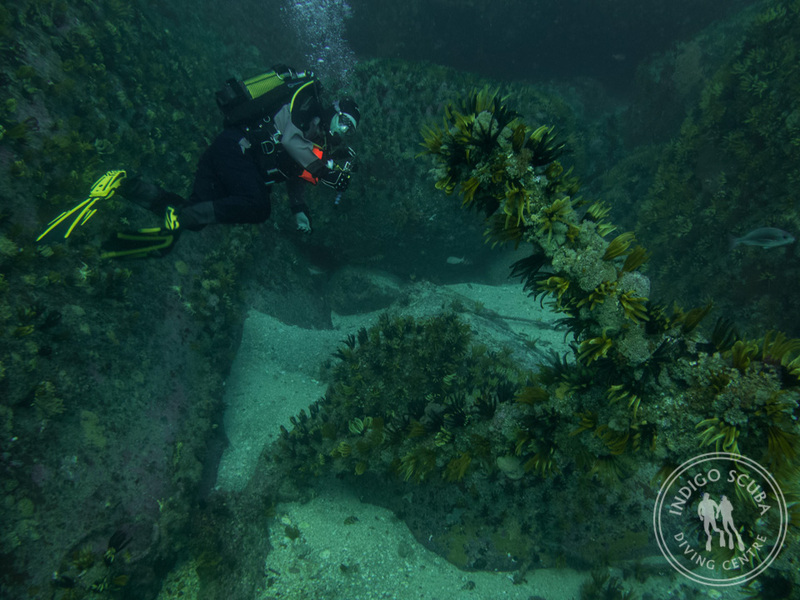 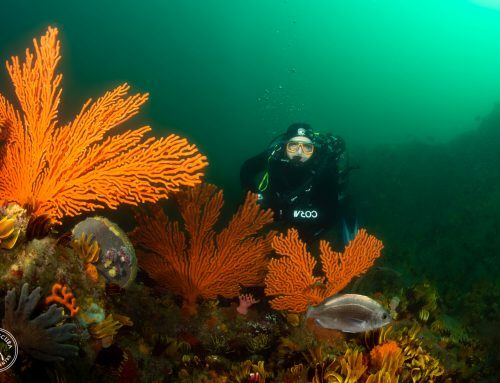 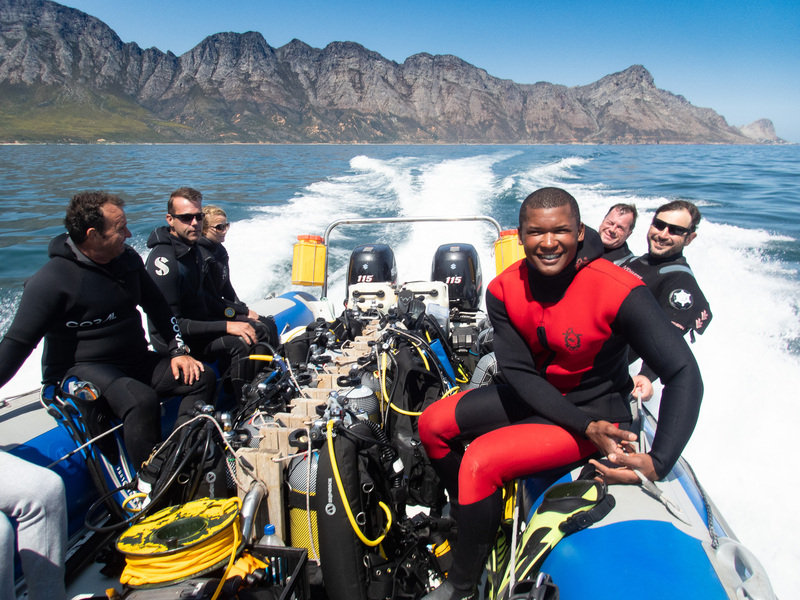 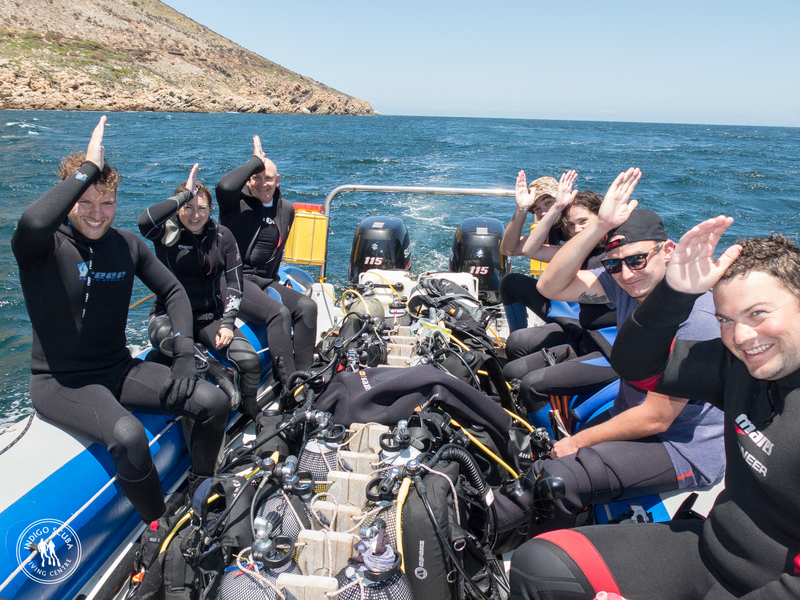 Our first dive at Steenbras Deep was on the southern pinnacle and as we reached 18 metres, the reef opened up to us, with great light, incredible visibility and temperatures of 11C. 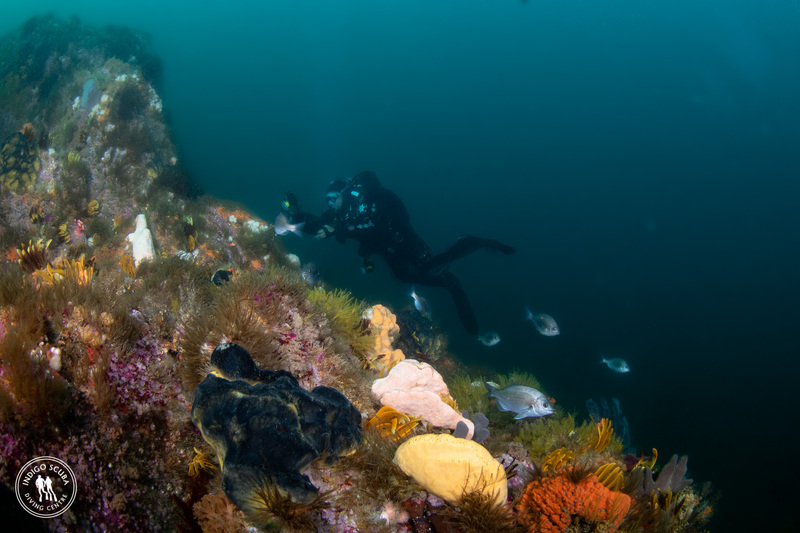 The reef was teeming with hottentot, red roman, twotone fingerfin and butterfish. 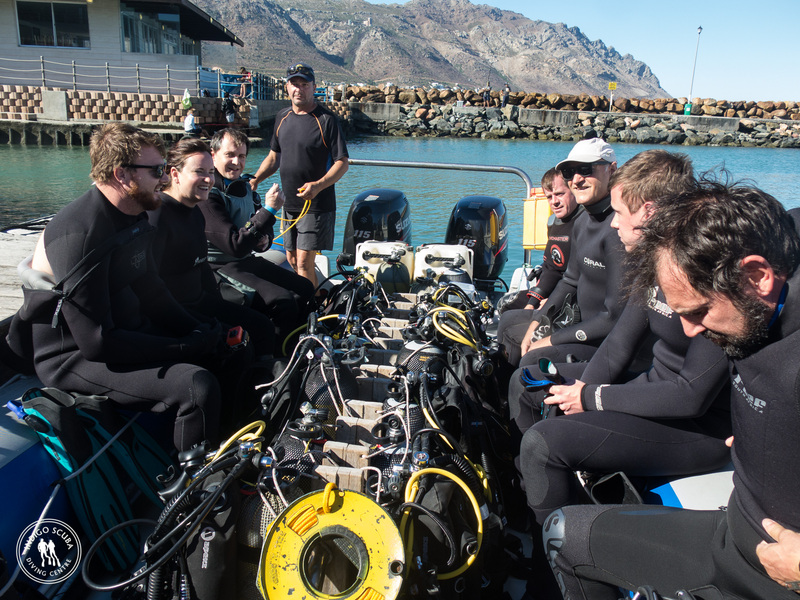 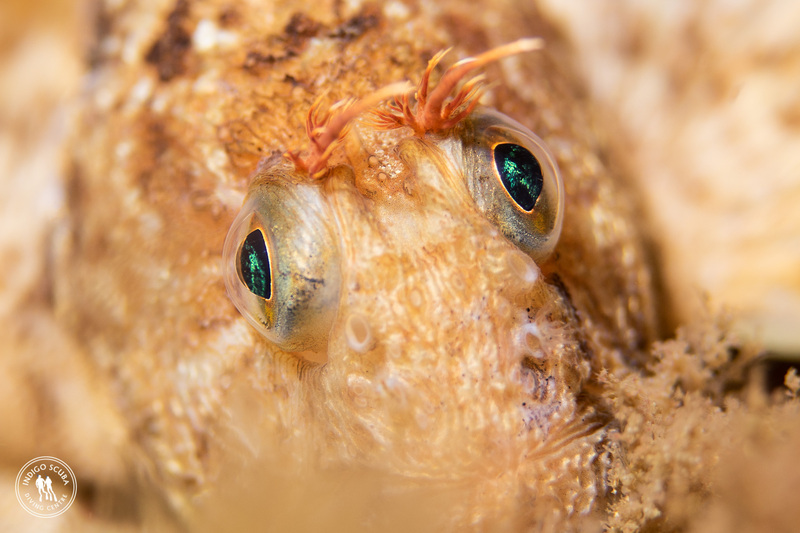 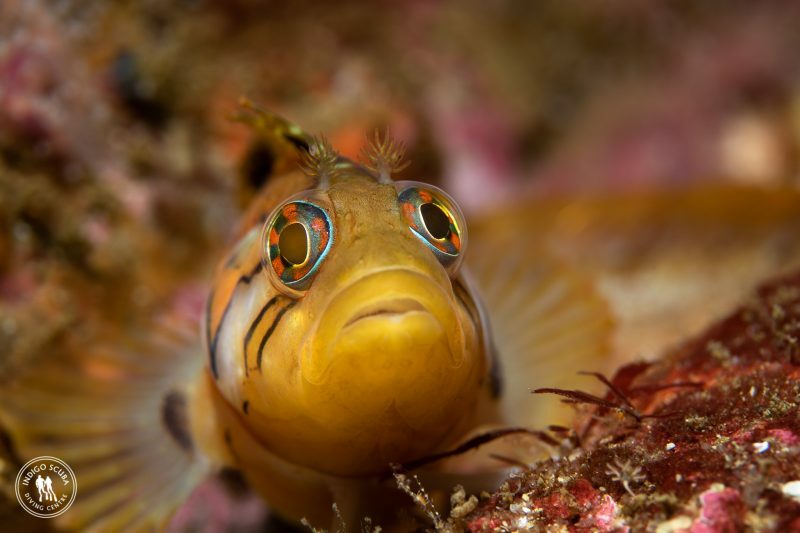 Shysharks patrolled the gullies and blennies, bull klipfish and speckled klipfish hid amongst the cracks in the reef. 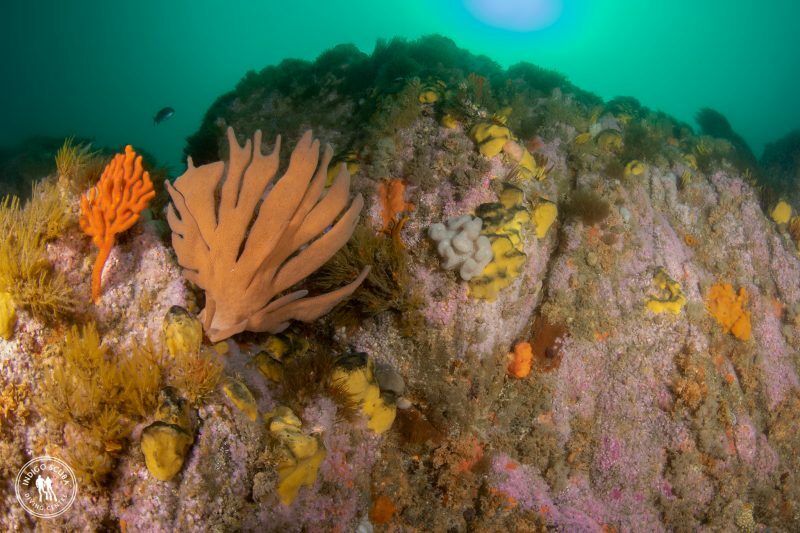 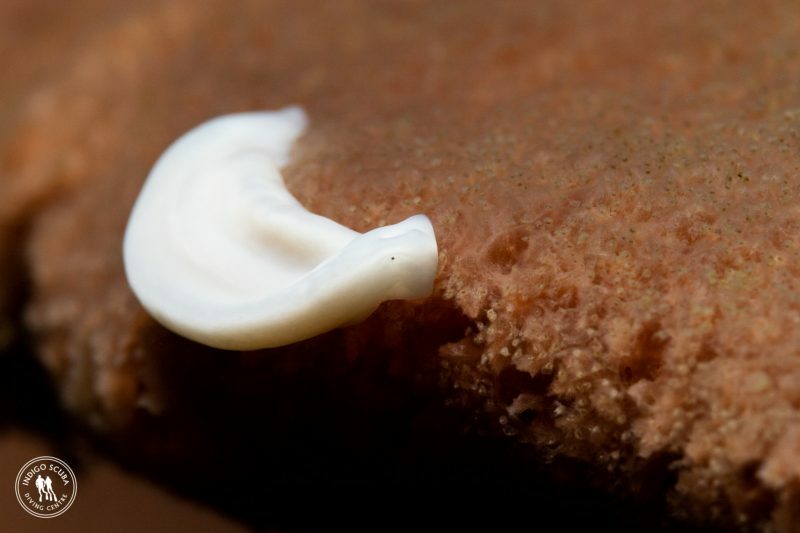 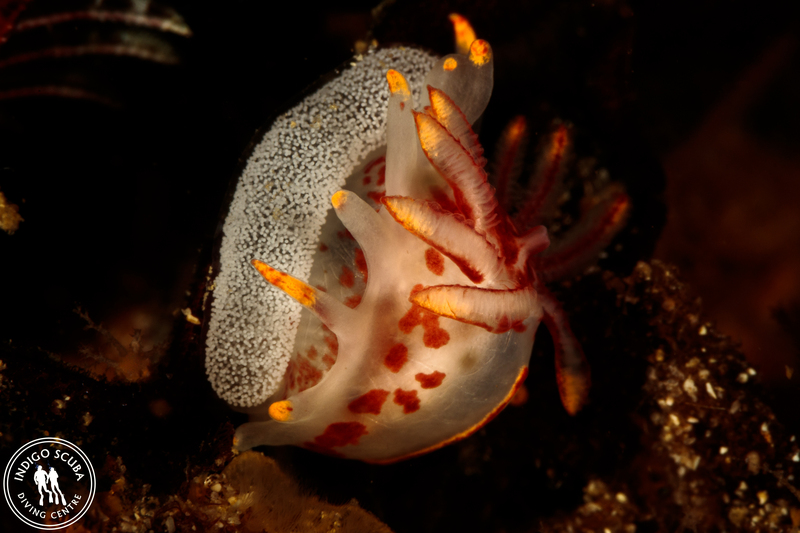 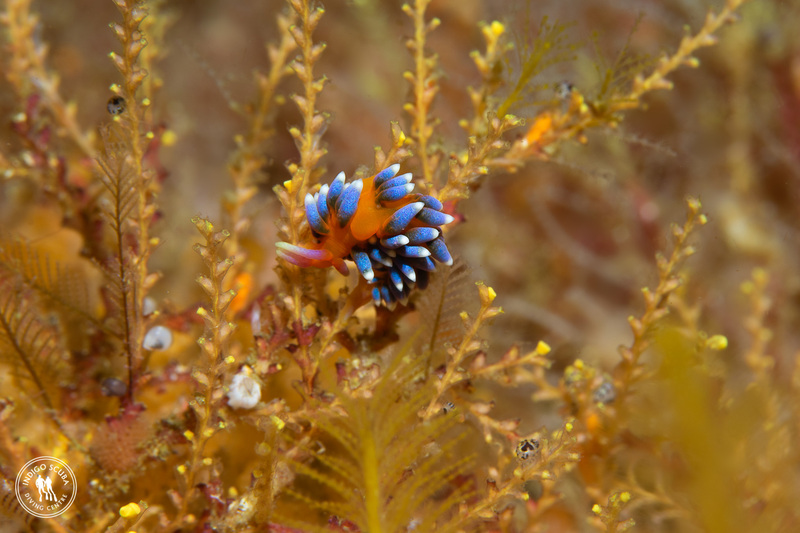 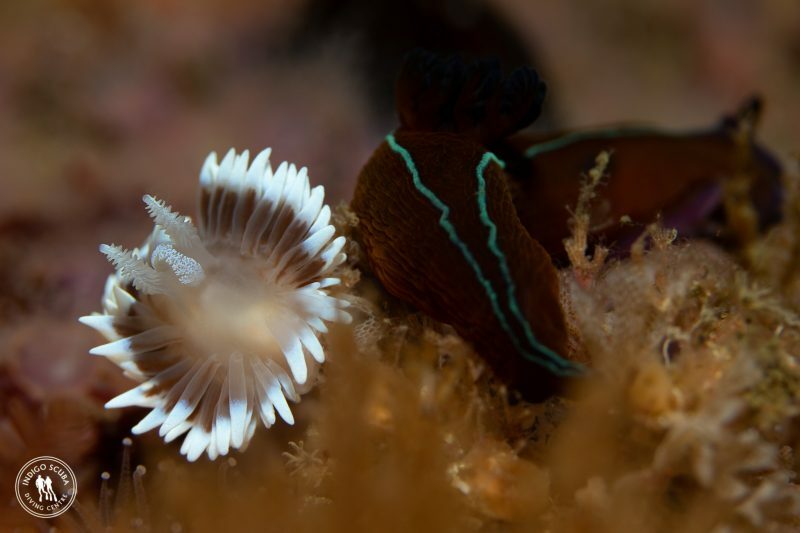 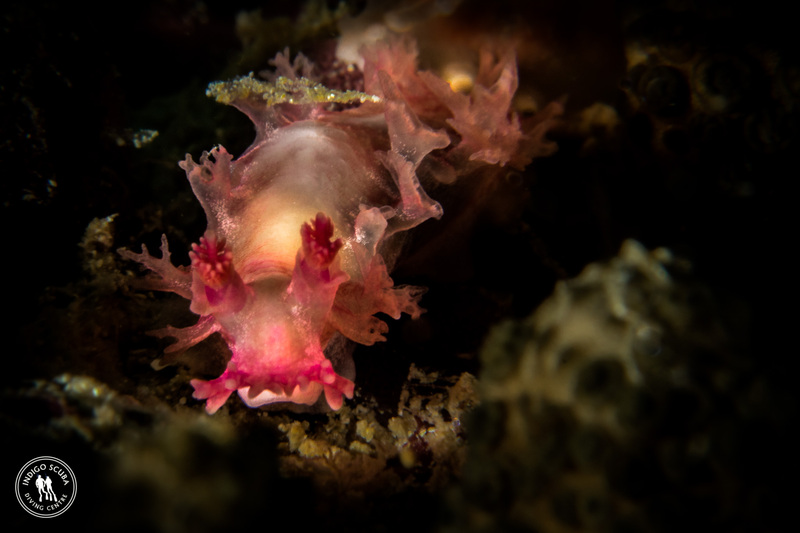 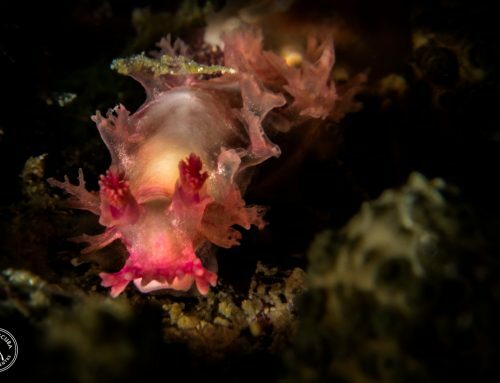 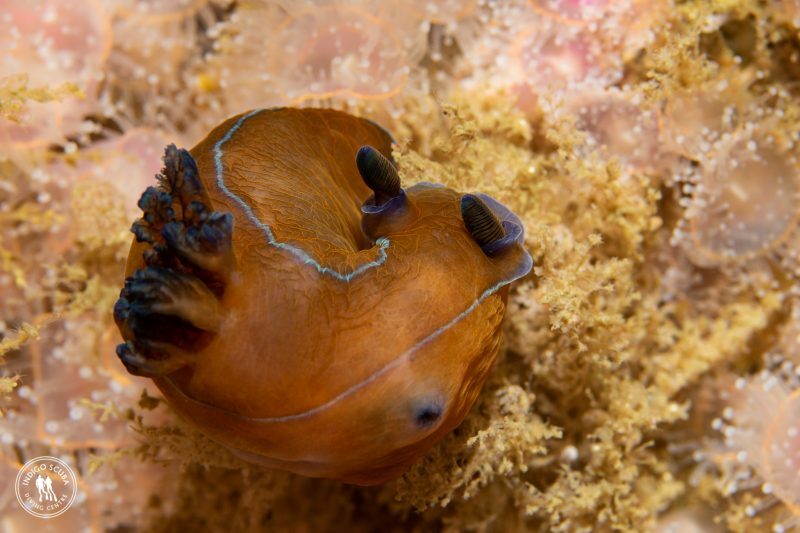 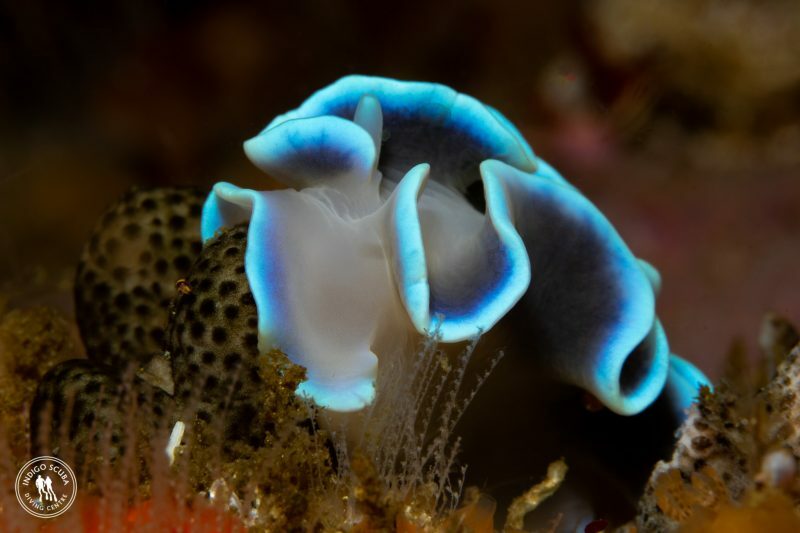 There were the usual beautiful frilled nudibranchs, black nudibranchs, silvertips and ghost nudibranchs on the deeper edges of the reef and candies, purple ladies and white edged nudibranchs swayed in the surge on the tops of the pinnacles. 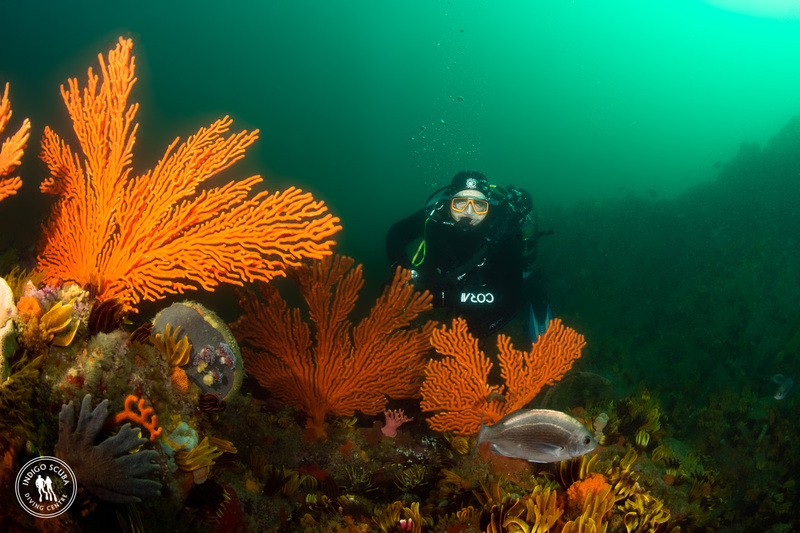 We took our second drop at the northern pinnacle and were met with fantastic visibility (and chilly water) yet again. 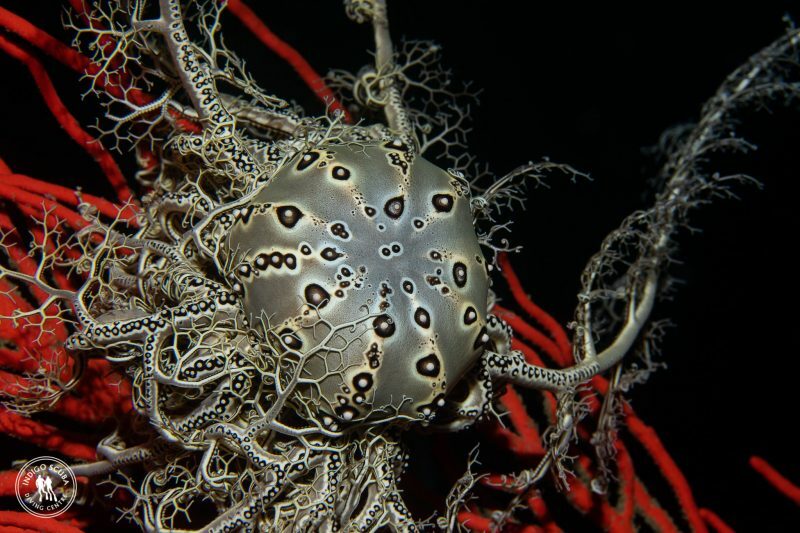 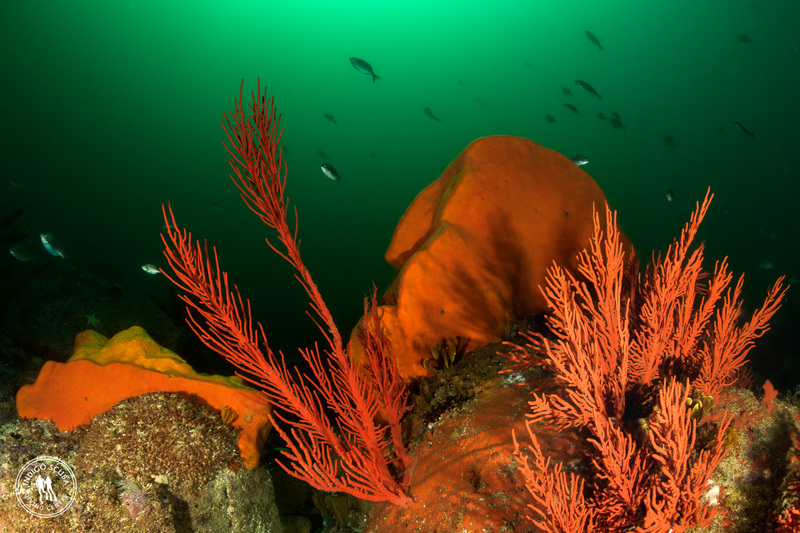 The reef was beautiful with many sea fans, some of which sported huge basket stars with their arms outstretched. 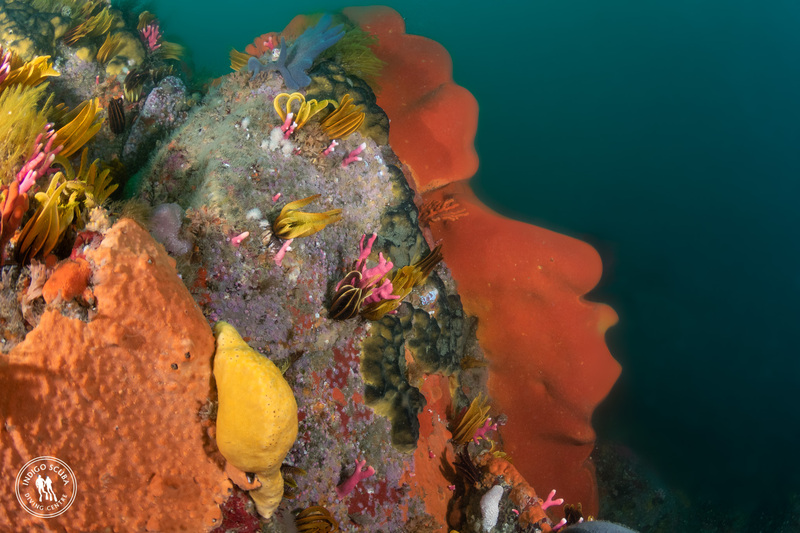 We could see across the huge sand bar gully to the next ridge beyond – the visibility was spectacular! 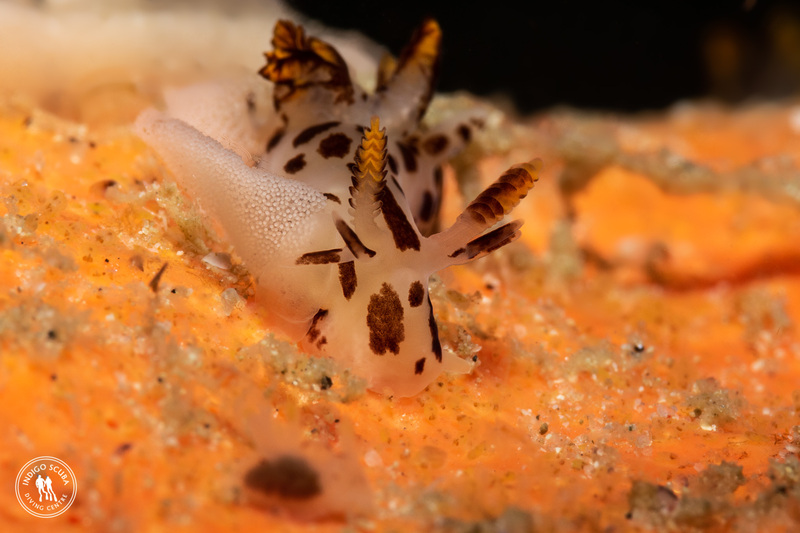 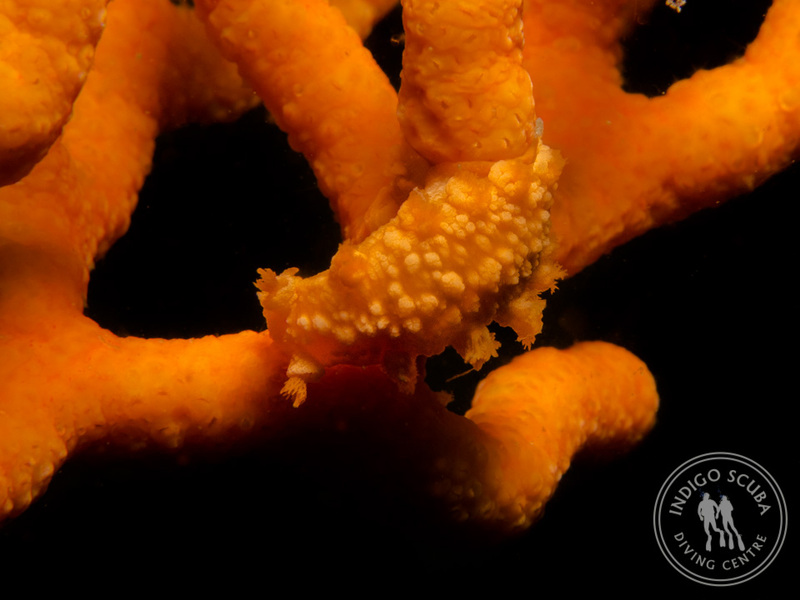 Georgina found a fireworks nudibranch and Kate managed to shoot some photos of her favourite yellow speckled klipfish. 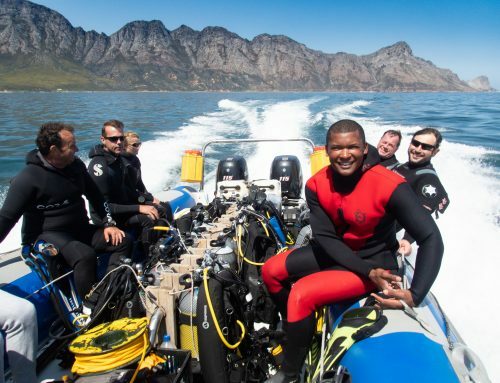 All too soon, the dive came to an end and we made our way back to Harbour Island just as the wind started to pick up. 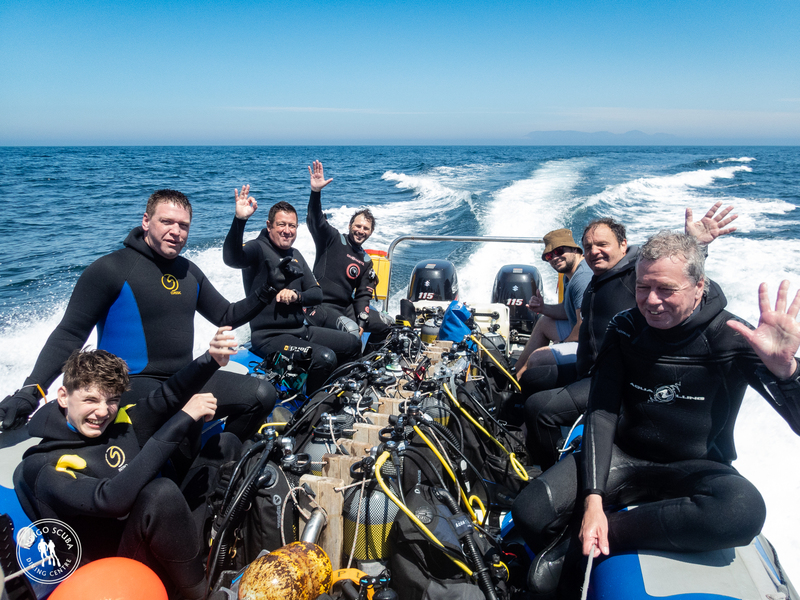 An incredible day of diving yet again!